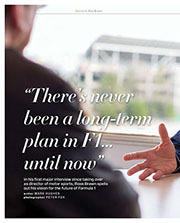 The striking thing about the vocalised thoughts of the FIA president is how much he agrees with this magazine and many of its readers about what is wrong with Formula 1 – the absurd costs, the excessive level of teams’ control over drivers, the way that personalities are drowned out by commercial considerations, the artificiality of some recent ‘solutions’. 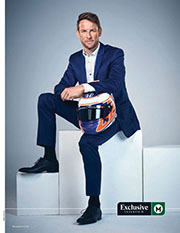 Even some of the more radical suggestions from this magazine’s recent ‘F1 manifesto’ (see April 2014 issue) meet with his apparent approval, such as banning all team-to-driver communications during a race. But underlying the link between Jean Todt’s thoughts and actions is the conviction that he rules by consensus and, as such, his views will not necessarily inform his actions, perhaps only guide them where possible. In the following interview he steers almost every question back to the process, the governance and what he feels is within his power. It was Bismarck who remarked that politics is the art of the possible, but he also once said that though a statesman cannot do anything by himself, sometimes he might hear the steps of God sounding through events, in which case the statesman should leap up and grab the hem of His garment. So the changes we’d like to see in F1 are probably not going to be initiated by Todt – but if events should begin to move things in a direction where opportunity is in the air, we get the feeling that this president’s heart is in the right place to respond. He’s a fan of the sport. In his Paris office – where this interview was conducted – he has pictures of Jim Clark’s Lotus 49 upon the wall, as well as others from his own career in rallying. Motor Sport: While acknowledging that the FIA has many responsibilities, what is your vision for F1 by the end of your second term? Jean Todt: “Formula 1 is the pinnacle of motor sport and is due to remain the pinnacle. Saying that, I’m in favour of encouraging many other categories of motor sport because we are represented in 141 countries but have only 20 Grands Prix each year – so there is space for other categories. Looking at single-seaters, for me one of the priorities was to rebuild the pyramid from karts to F1. I’d say we have started well – now we have a promoter covering the karting championship and we are introducing a national F4 category that we want to develop. We have re-established F3. We still have to cover the space around F2, even if I respect two very good commercial series – Renault 3.5 and GP2. Then there’s F1. “To have a good F1 you need all the pyramid to be healthy and that’s very difficult, because motor sport costs a significant amount of money. The tendency is for the costs to grow and, even if the situation has stabilised in recent years, I realise that the introduction of F1’s new engine formula has increased the outlay – and that has not been good. Knowing we were introducing new technologies that are very good for the pinnacle of motor sport, I was hoping manufacturers would control costs more effectively. But overall I think the new formula, which was initiated by my predecessor, has been constructive. “Some people’s default is a resistance to change, others like constant change. I’m not in favour of change for the sake of it, but for constructive reasons only. If F1 had not embraced the new technology, I think we would have lost Renault and Mercedes – and Honda would never have come. We’d be looking at Ferrari and Cosworth supplying all the engines. Now we have these manufacturers and I’m convinced more will join. For me the new powertrain is a positive change and I know that people who complain are much more vocal than those who are happy. This is normal. “When we introduced the new World Endurance Championship, we had one or two manufacturers – Audi and Peugeot. Now we have Audi, Toyota and Porsche with Nissan coming back next year – all with new technologies, all with ‘funny’ engine noises. Nobody has complained. 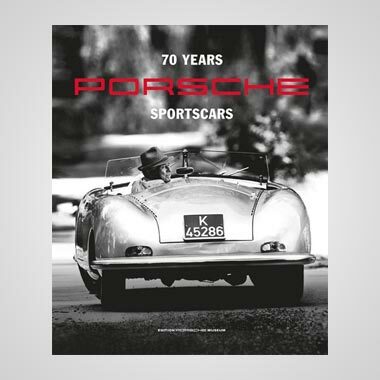 Porsche, which is probably one of the most advanced companies for technology, is using a four-cylinder engine. So we’ve had to face some irrational comments about the noise in F1, but not in sports cars. But that’s racing. “Concerning the cost of engines, the manufacturers had a lot of freedom working together with the FIA. Regulations are decided through co-operation and the FIA’s role is often to co-ordinate. So that’s why I was a bit frustrated when there was this big opposition [in 2010, principally from Ferrari] when we introduced rules for the four-cylinder turbo. But this had been the manufacturers’ proposal, not something I had autocratically dictated! “It was done with consultation. I was a bit surprised to see the four-cylinder solution, but if everybody was happy, then fine. Often one of the problems with teams is that the representative is not the decision maker. So they propose things but, when it comes to the final step, the decision makers want something different, or else change their minds, having not been well informed during the course of discussion. Some manufacturers then said they didn’t want four cylinders, but six. So at that stage we had to move and delay by one year the new engine’s introduction. 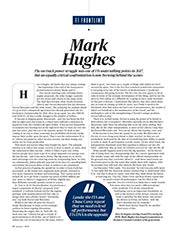 “We have probably authorised too much freedom – and not evaluating it enough has led to the increase in costs. We should probably have been more restrictive. But from the beginning it was a very good decision by my predecessor Max Mosley, who decided to freeze the engines and limit the number per season to eight. Now we had a further step because for 2014 it was five engines and after that four, for the whole season. So you would hope that the total cost might have been quite close to before, but in fact it is not. What is secured is rule stability – and I feel that’s essential. The regulations are stable now until 2020. MS: So the FIA cannot act, even if it believes that those terms – the agreement between the commercial rights holder and the teams – are damaging? MS: There may be an academic logic to it, but some smaller teams are struggling to survive at present. MS: But if they don’t do it we are left relying on fewer teams and the whole thing becomes very fragile. MS: You were very critical of the strategy group teams’ cost-saving proposals of May 1. JT: “Yes, they were a joke. I said so in Spain. We need to be looking at things to save tens of millions and they were suggesting things that might save two million. But at the end of the day it is their business. MS: They might be happy, but what if it isn’t sustainable? MS: But if you see the participants going down a route that’s unhealthy, can you exert pressure and guidance? MS: But if the money stops? MS: A lot of these difficult circumstances arise from the 100-year commercial rights deal, done by your predecessor with Bernie Ecclestone. What did you feel then and what do you feel now about that deal? JT: “First of all, that is the past. When you are elected you get the keys for a limited amount of time, so it would be completely absurd to say he did not do well. A lot of good things have happened – including safety, which is very dear to me at all levels. If you think back to ’82 [when there were two deaths in F1], then nothing between ’82 and ’94, then the tragedy in ’94 and since then nothing – touching wood – in F1. MS: Your management style seems different at the FIA to how it was at Ferrari. 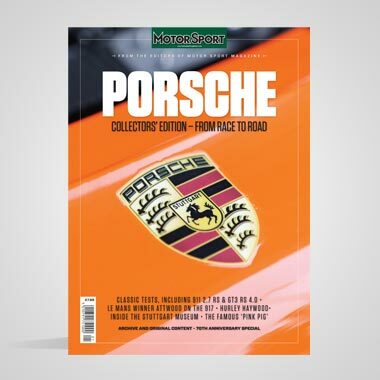 MS: Motor Sport magazine did a feature about our F1 idyll, which got a big reader response, particularly about the drivers being too controlled, the environment being too corporate and how we no longer see the drivers’ personalities emerge. Do you see their point? JT: “I can, yes. But it’s evolution. Change is not always in the direction of the dream, but the evolution of the world. The business has become much more professional. The consequences around the world are much higher than they were in the past. For example, I saw this comment from Lewis Hamilton about his background, where he was living when he was a kid – and all of a sudden this is a huge story, out of all proportion probably to what he meant. Poor guy, he was just talking about his background and it became this big story. So next time he will be more cautious. MS: It might be natural evolution, but is there not a case to be made for intervention? What about the idea of the driver not being controlled by the team at all, having to make all his own decisions on fuel use, tyre use, how to drive the car – and to express himself freely out of it? JT: “I would not be against that. I think we could get by without telemetry, but the teams disagree. Do you need now to have all those teams of people in the factory while they are racing? Their answer is that we save money and we get more sponsors. I must say it’s true we have more new IT sponsors than before. Money used to come from tobacco, then that was banned and new commercial partners have arrived, many of them IT. So I can sympathise with the teams when they say these partners are very interested in the link between the car, the garage and the factory. I have to take their word for that. “I was always more attracted by proper testing on a circuit rather than simulators, CFD and tunnel. But you have to accept or run the risk of being told you’re too old, that you don’t accept progress. Each single thing has been evolution. That’s why in a way I do accept it. It doesn’t mean I like it and I’m surprised when I hear on other matters that people would like things to remain the same. If everything is moving, everything should move. We should not be selective. But it is true that the world and motor sport are moving and, being the pinnacle, I think F1 should have the lead in all those things. MS: Some of the key players – Mr Ecclestone, Mr di Montezemolo, some circuit promoters – actually went the other way and criticised it. Was that a frustration for you? JT: “It was, yes. Because we were all around the table making the decisions about the future and no one said, ‘That’s no good, let’s go in this direction.’ So we did it – and only then did we get the criticism. As I said, it was an own goal. MS: People do not like the artificiality of double points. Authenticity is important. 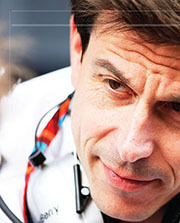 MS: Research suggests that F1’s fan base is ageing, that it isn’t attracting young people in the way it used to. Is that a concern? MS: Will you stand for a third term? So, there is the essence of the president’s views on F1. He is not about to force through his vision, but he does have sympathy for the views outlined here a few months ago. 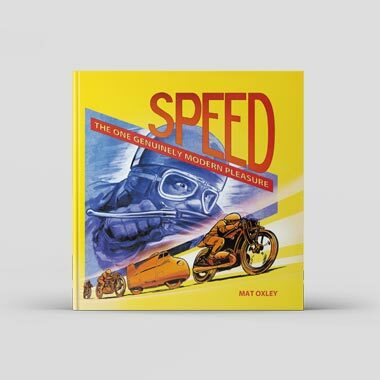 His style is way less adversarial or proactive than Max Mosley’s and he’s managed to implement a major change of formula against the wishes of a significant proportion of the teams, yet without alienating them. That says much for his political skills. He’s aware of the challenges ahead and vows to do his utmost while in possession of the keys. But any fundamental change in direction will have to impose itself on the sport by outside events. The FIA, under Todt, is not about to take it by the scruff of the neck. When we told Damon Hill we were interviewing Jean Todt, we asked the 1996 world champion what he’d like to know. Typically, the Sky F1 pundit gave it some serious thought. DH: Where will Formula E leave F1? DH: Can the FIA rescind the commercial rights holder if the commercial rights holder is proven to have acted illegally? DH: Is the Grand Prix Drivers’ Association (GPDA) represented on the FIA? If not, why not? 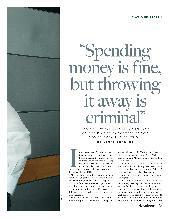 "Spending money is fine, but throwing it away is criminal"